Rubbermaid 2 in 1 Recycler #Giveaway (Gifts For Mom: Mothers Day 2012) CLOSED! We all love to keep our homes organized and clean, one thing that I think can be a challenge is recycling. When you have kids and you have their friends over, and with others in the house you might have a challenge when it comes to getting everyone to throw their recyclables away in the proper places. Recently I was sent a 2 in 1 Recycler Bin to review from Rubbermaid. 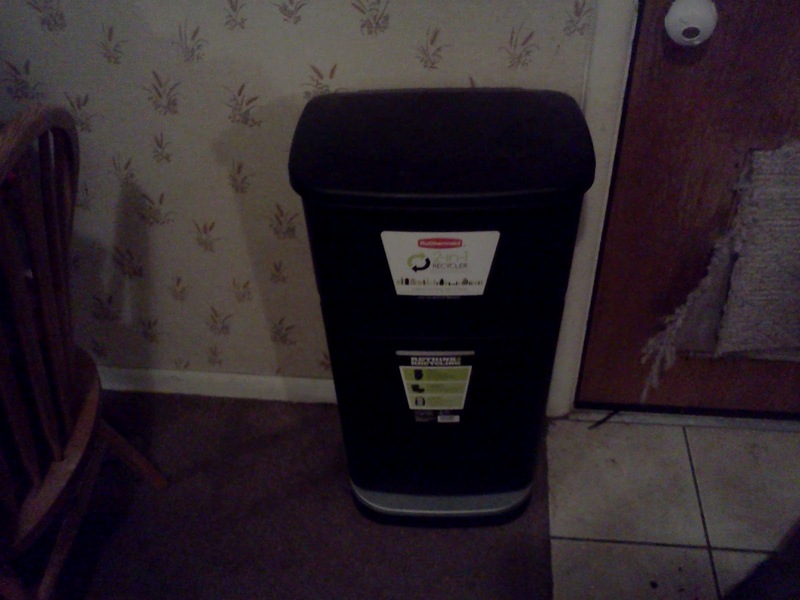 This recycling bin makes recycling so much easier for you and your family. That way you can have a all in one place for your recyclables or you can have them placed in the two separate bins. I find that just letting everyone throw their recyclables in the large bin, then sorting them when I take them out in the smaller bin, makes everything a lot easier for me and everyone else. The top bin has these easy fold away handles which make collecting and taking out recyclables easy. I love that I can easily place a 8 gallon trash bag in the bottom bin with out having to worry about it slipping with the Liner Lock system! The wonderful people from Rubbermaid would like to give one of my amazing readers their own Rubbermaid 2 in 1 Recycler! Take a look at the Rubbermaid 2 in 1 Recycler and tell me what you like best about it! Please leave me your email with entry. This giveaway is open to US residents. This giveaway will end at 11:59 pm on May 7,2012. Winner will be chosen at random.org and will be given 48 hours before another winner will be chosen. All products for reviews and giveaways are given as a sample from the companies. All opinions in reviews I conduct are my own. I was not paid to say anything or review any products. I love the fact that you can split up your trash without having to trash cans!